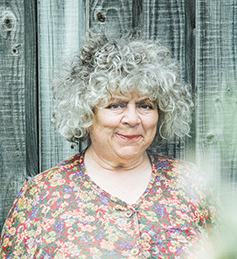 On this World Premiere Australian Tour, internationally renowned actress Miriam Margolyes brings to the stage some of literature’s best known characters. Lady Bracknell, Mrs Malaprop, Jane Austen’s Lady Catherine De Bourgh (“Pride And Prejudice”) and Mrs Corney and Mr Bumble from Charles Dickens’ “Oliver Twist” are amongst the unforgettable characters brought vividly to life by the award winning star of stage and screen. Anyone who saw Miriam’s breath-taking performance in “Dickens’ Women”, where she played an astonishing 23 characters, will relish the opportunity to see further examples of the popular actress’s theatrical dexterity in “THE IMPORTANCE OF BEING MIRIAM”. Fans of the Graham Norton Show, on which Miriam makes regular appearances, will be familiar with her refreshing straight-up, devil may care attitude, sharp wit and hilarious interactions with the host, other celebrity guests, and the audience. But “THE IMPORTANCE OF BEING MIRIAM” will be Miriam at her outrageous and sometimes irreverent and emotional best as she reveals her personal take on literature and music. In this unique entertainment, Miriam also reveals a fascinating insight into her connection with great writers from Dickens to Gertrude Stein, Clive James, Les Murray and Shakespeare. On stage, Miriam is again joined by acclaimed pianist John Martin. Together they will explore the connection between literature and music – from classical to popular, music hall to the greatest piano works of all time. Direction is by Peter J. Adams, who has also devised stage shows for Sir David Attenborough and Brian Cox. In their first appearance together since the hugely successful “Dickens’ Women”, don’t miss Miriam Margolyes and John Martin in “THE IMPORTANCE OF BEING MIRIAM”.